In these days, communication seems to be the imperative of our societies. As Human Beings, we communicate through words, but words are nothing without the meaning we decide to give them. During past centuries, christianity has established its meanings of words according to its own interpretation of things and these meanings became the common meanings of words. So, while we are changing the meaning of the word pagan, we should do the same with other words, in order to free them from dirt and bringing them to their ancient splendour. I dont want to make here a vocabulary of paganism, but to give a brief looking to some fundamental words (which I chose because they come from the ancient pagan path closer to me, the italic-latin one, and because they have the same origin in many European languages, Romance languages or not) we use in our walking along the paths of ancient traditions, taking them back to the meaning which was given to them in the pagan context theyre born.  to mean something we do, but often without understanding or paying much attention) but also what we are going to pass to next generation. In facts, the Latin verb tradere means to deliver or to pass down: so the original concept of tradition involves responsibility for what we decide to pass down and for the correctness of it, it has an active meaning. and also procreate children), to write or to compose and so to celebrate, and to begin doing something. This word has an active content, too. Another fundamental word is religion: WCER chose the definition of Ethnic Religions, but what does religion mean? Nowadays, we are used to the anthropological definition of the word: religion is a system of belief, practices, rites of a certain population, something that keeps together people practising them. Outside scientific context we can find also christian definition, coming from Lactantius, for whom religion, and in particular true religion, was something binding man to god, from the verb ligare, which means to bind. Though we can modify the meaning given to the verb ligare as we are doing for the word pagan; we have a better definition coming from the ancient culture who first used the term religion. And even if it comes from ancient roman culture, I think that the basic concept fits all religions we now call paganism. In ancient Latin, religio had many meanings: in everyday life was used for scruple or meticulousness, as we find in Plautus comedies (III century b.c. ), but in a religious context it indicates the attention the person should pay to religious practices. In Cicero (De natura deorum, II, 28) we find that religio comes from the verb relegere, to gather, and religiosus is he who gathers the practices of Gods worshipping, paying an extreme attention to them, choosing carefully words and gestures. Religio is the opposite of negligentia, negligence, neglecting the Gods because of indifference and contempt. So, in Latin, religiones (in religious contexts it is never used in the singular) are all the religious practices but above all the behaviour men should have doing them, respecting their rules. But this doesnt mean passive acceptation of them, because in the same passage by Cicero we read that the opposite of religio is superstitio, superstition, that is blind belief in something; Cicero said that superstitiosus, superstitious, in origin was he who offered sacrifices all the day, praying the Gods to make their sons come back from war or travels as survivors (in Latin superstites). 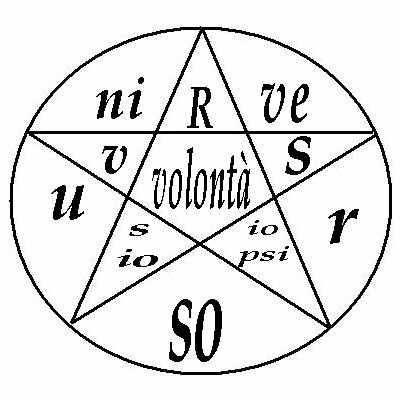 According to many other authors, superstitio comes from the verb supersistere to indicate something deviating from or going besides (super) religio. In Virgil superstitio means nonsense, not enlightened devotion. Christians used superstitio to define all religions but theirs, especially pagan religions, but actually these have a strong component of personal participation and attention we cant find in monotheistic religions. We just looked at three simple words, and everywhere we found an active component. Pagans cant simply sit and listen to a priest to honour Gods and Goddesses, absent-mindedly repeating gestures and phrases: religio means choosing gestures and phrases. Paganism is not passivity, is walking towards the Gods, with our own legs, honouring the world surrounding us. So Ethnic Religions are not superstitions: they must be experienced. Since every experience is personal, tradition coming from past can only be a confirmation of what we are experiencing, not something unchangeable or an excuse to avoid responsibility, as sometimes is used. If we dont pay attention, if were not aware of what we are doing, we are not practising paganism. After all, in many ancient traditions, heroes are those who sit beside the Gods, not submissive people, and these heroes, humans or half-gods, dont wait for the Gods to come to them or to help them, but walk toward the Gods with their will and awareness.